Peabody Triple Decker Apartment Building. Telegraph wires in photo, people before building. Vacant lot across street. 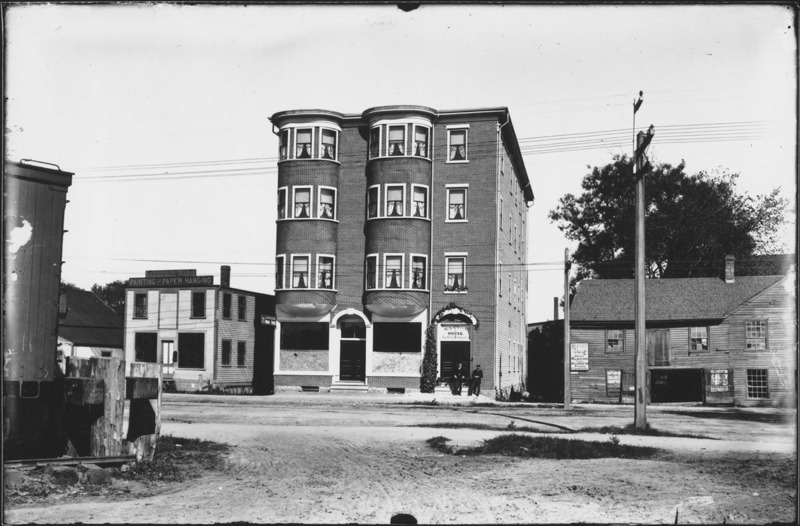 “Triple Decker, 1912,” Peabody Institute Library, Peabody, Mass., accessed April 18, 2019, https://digitalheritage.noblenet.org/peabody/items/show/193.